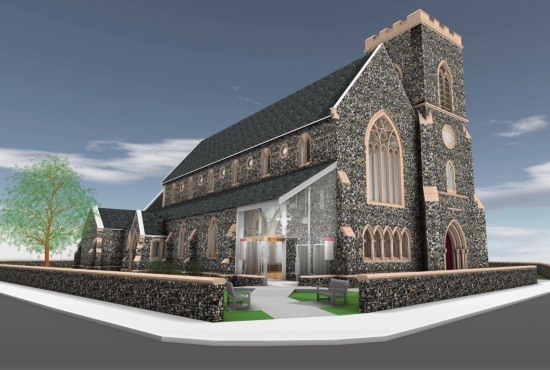 The Cornerstone Project is all about the re order and development of the church building of All Saints Church for worship and mission for the next generations. The project launched on 20th May 2018. To find out more about the project including the mission, vision and practical elements please click here to download an introduction to the Cornerstone Project. You can also download a "Reasons Why" pamphlet if you click here. If you would like to support this work either with a one off donation or through regular giving then you can pay directly into this UK bank account. If you would like to donate by cheque payment then please make the cheques payable to "All Saints PCC Cornerstone" and send it to All Saints Church, 32 Warrington Street, Newmarket, Suffolk CB8 8BA. If you would like further information about the project then please contact us.